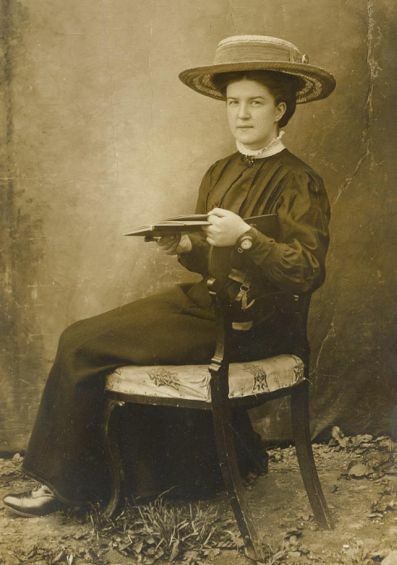 Mary says: "Here is a photograph of my grandmother as a young woman. picture #711 shows her in her latter years. Note the interesting timepiece. Does it look rather modern for its time?" I think her hat is brilliant - it looks like it's hovering just over her head! It's so interesting to see the photos of Bella and Mary at the start and end of their adult lives.